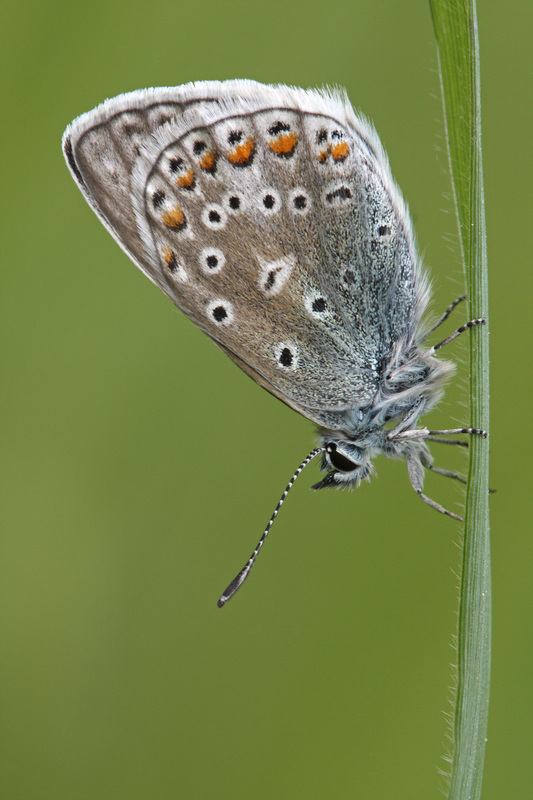 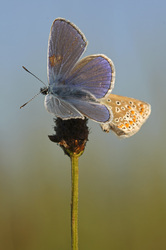 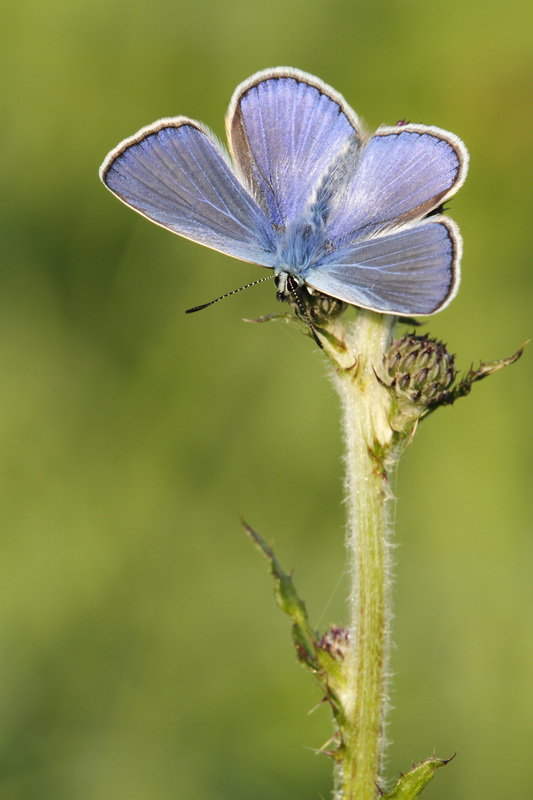 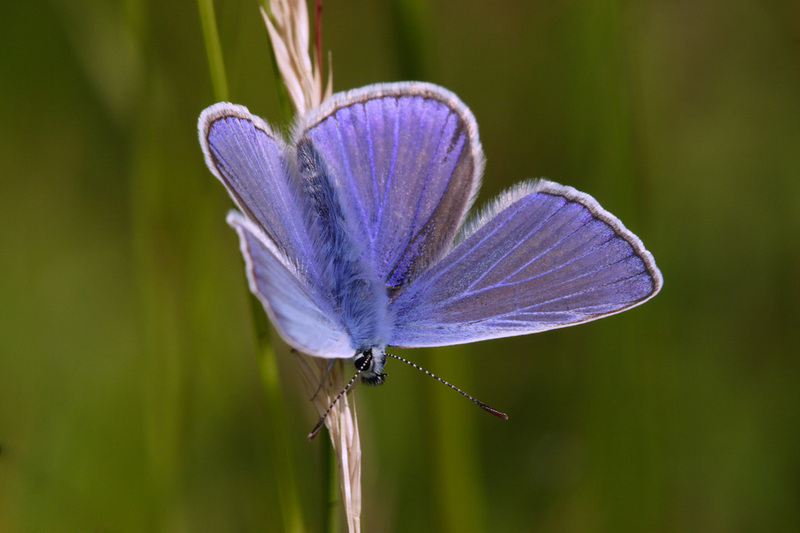 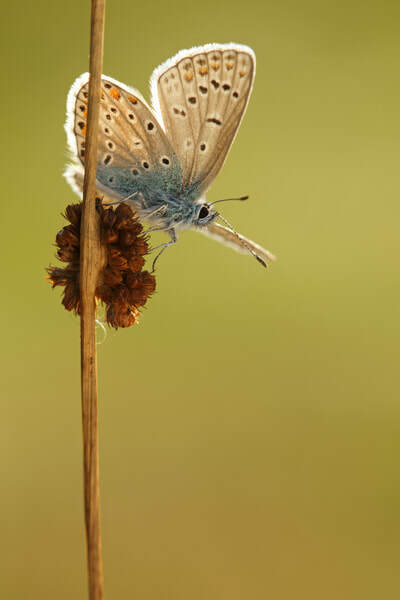 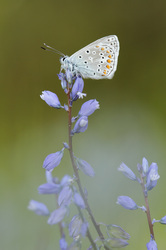 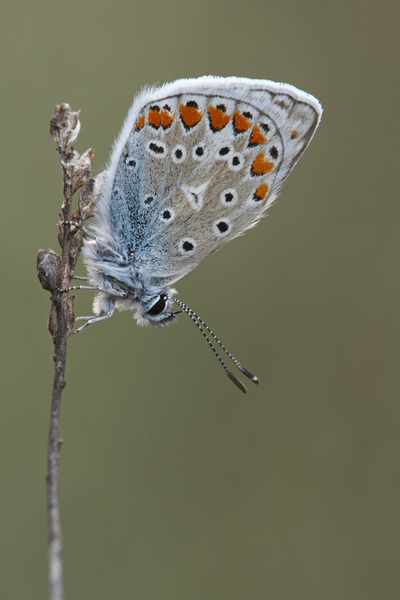 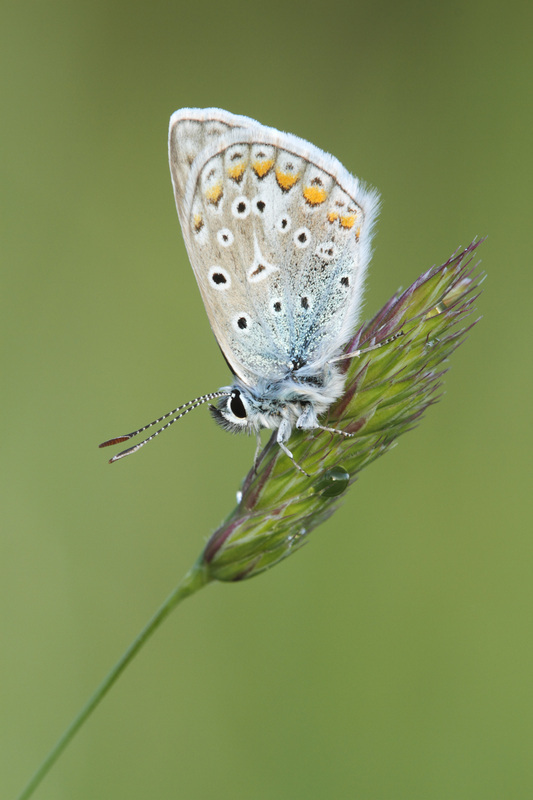 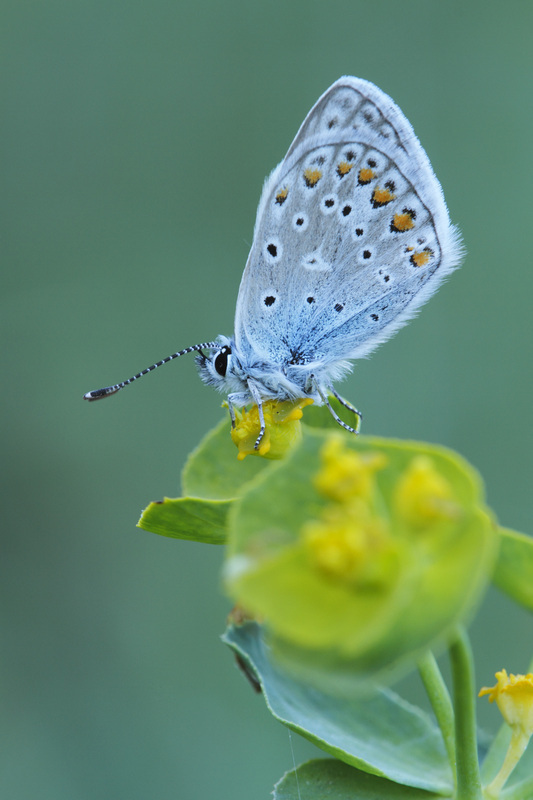 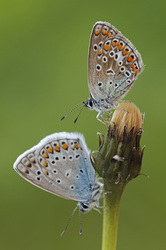 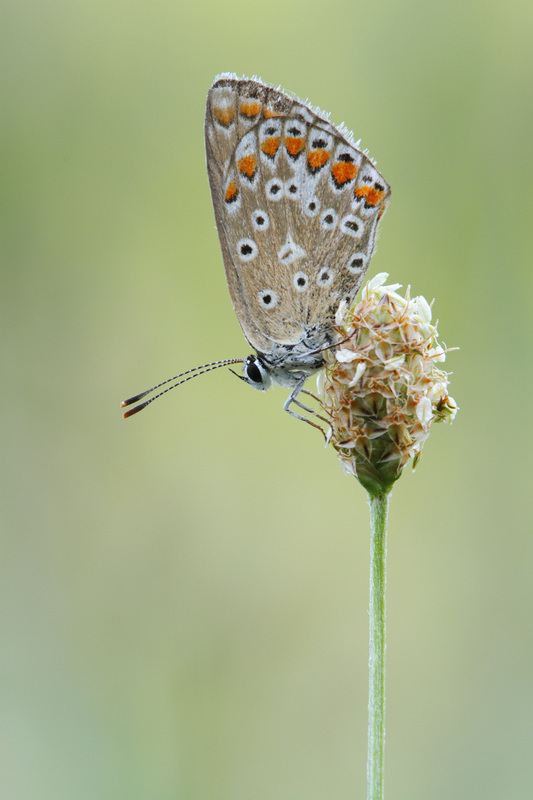 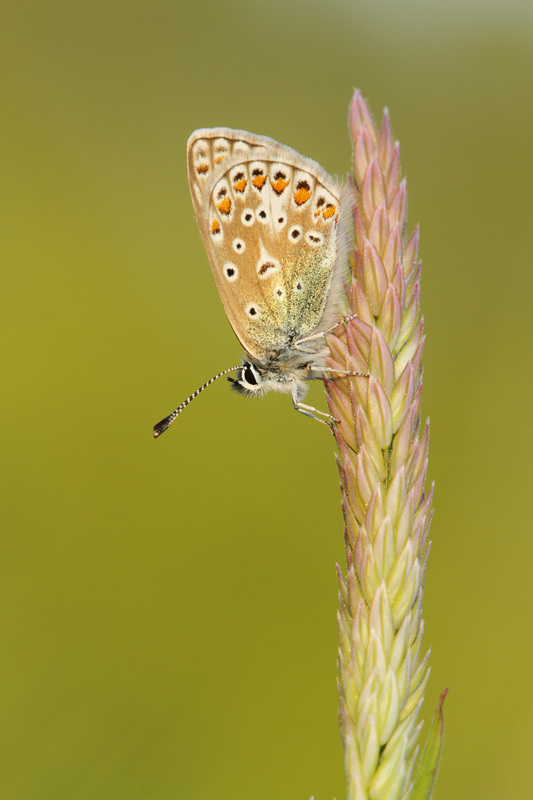 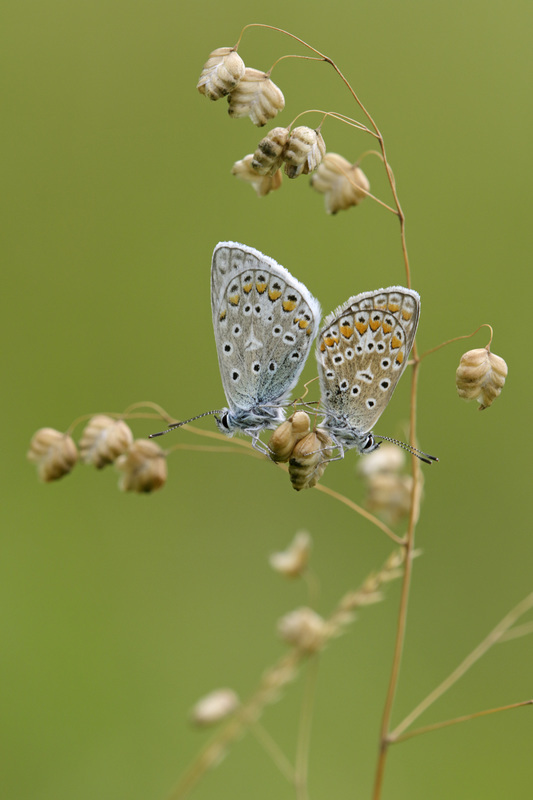 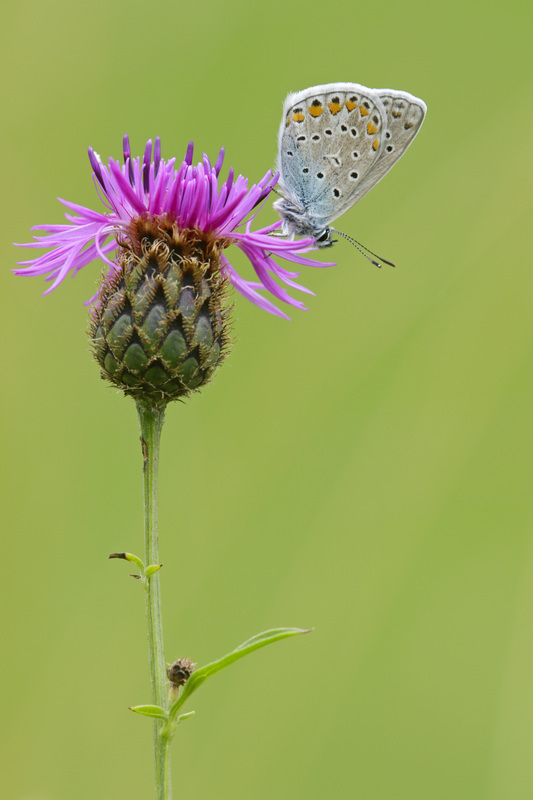 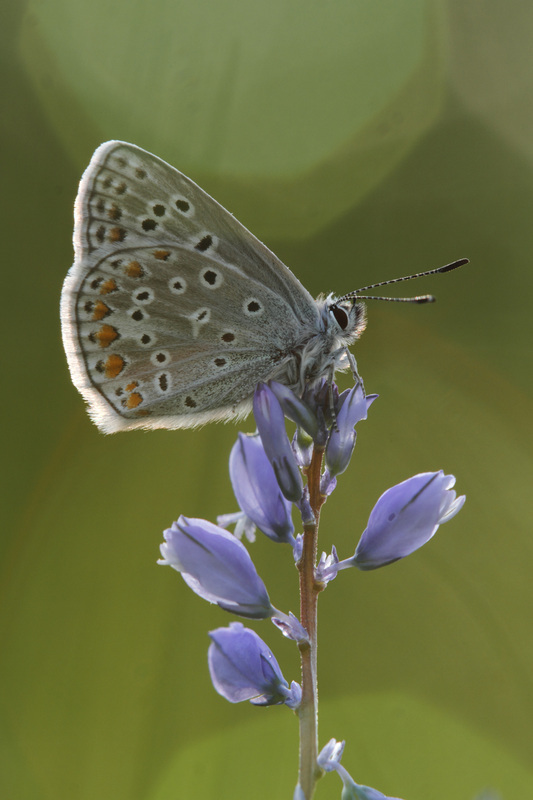 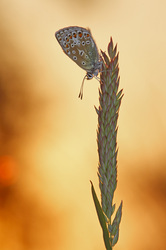 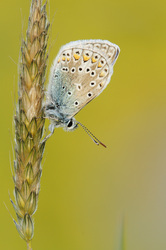 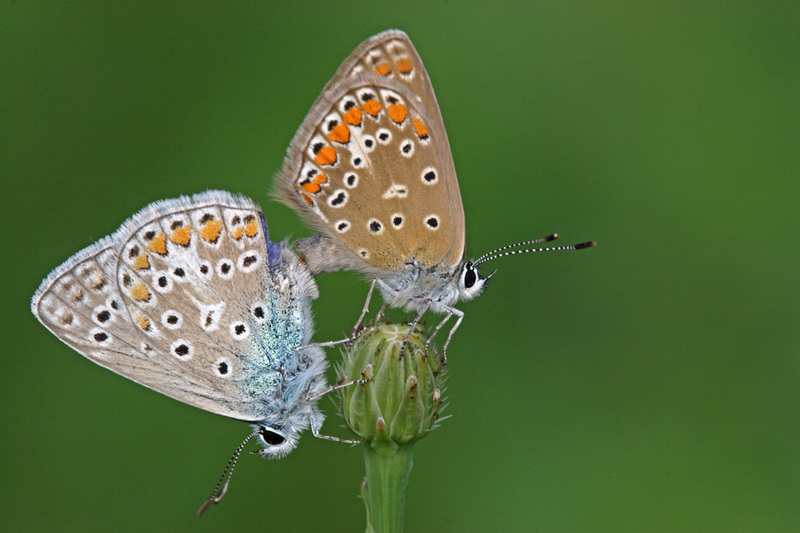 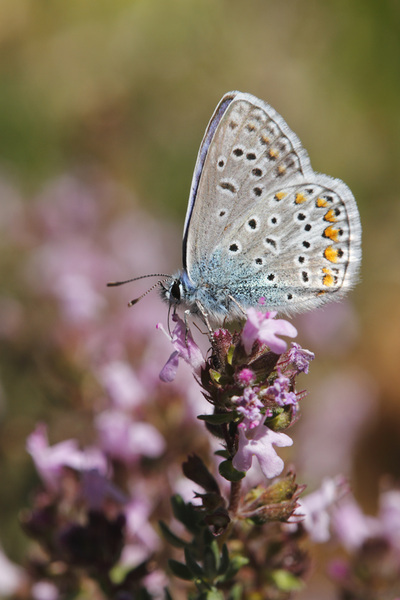 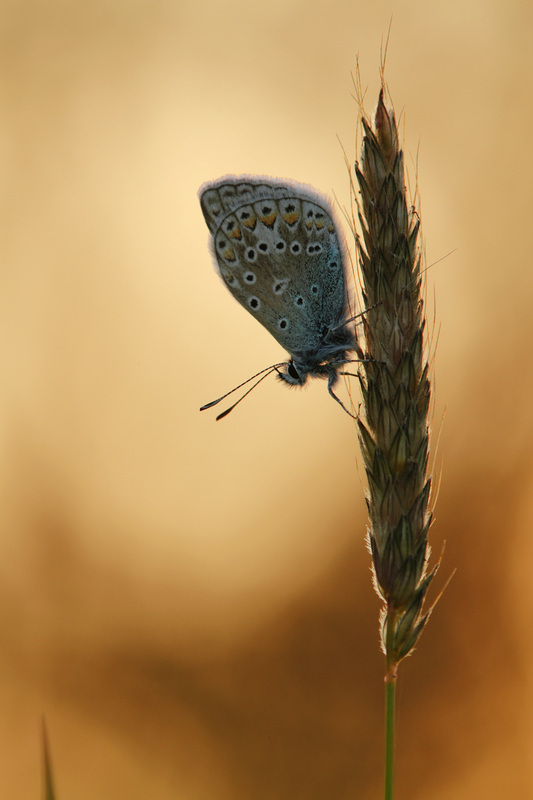 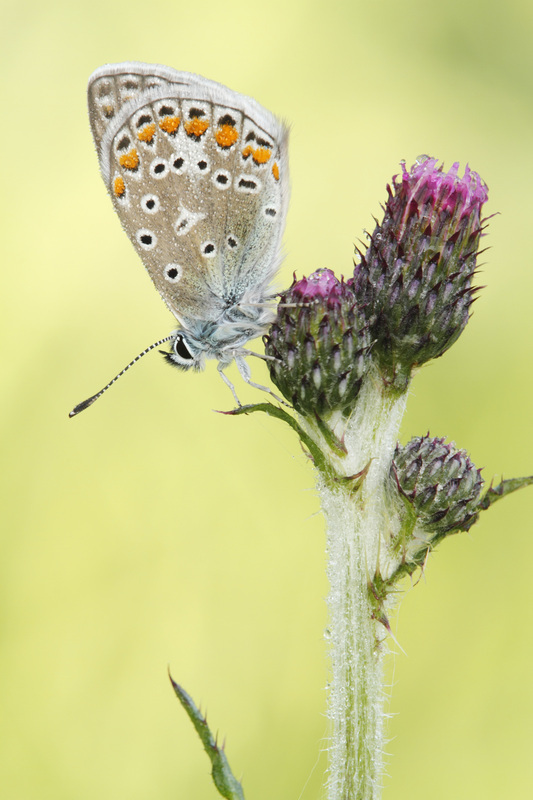 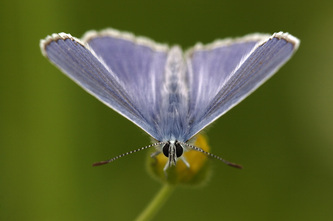 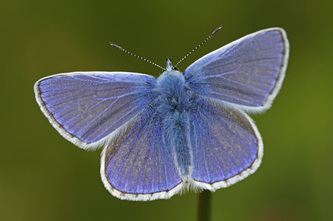 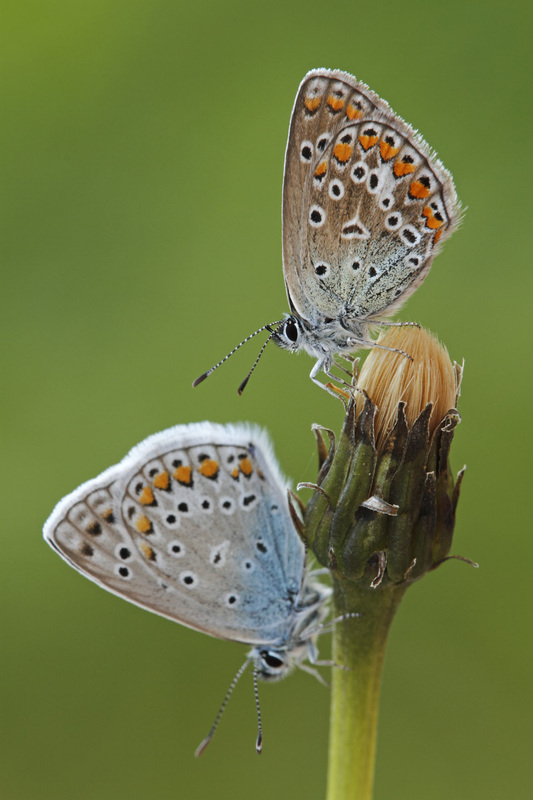 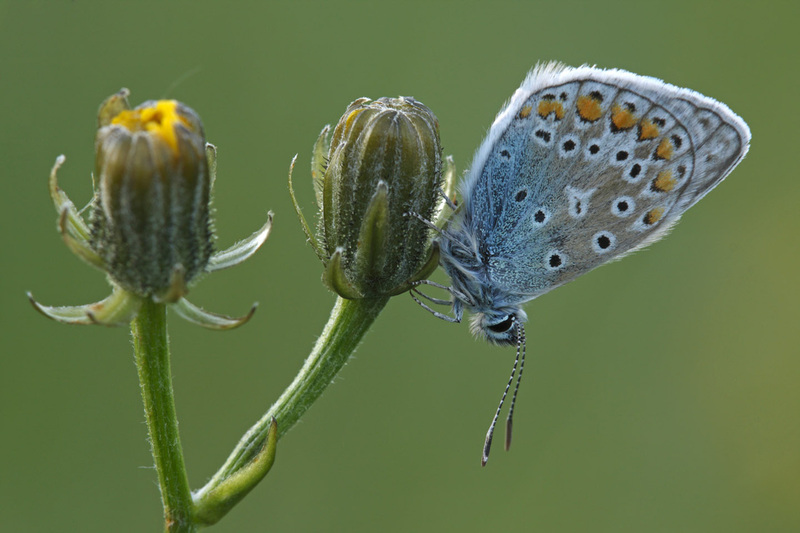 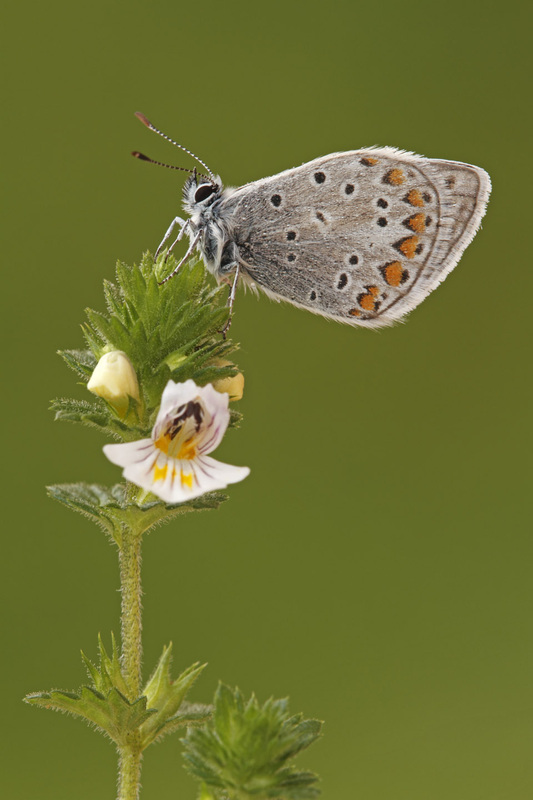 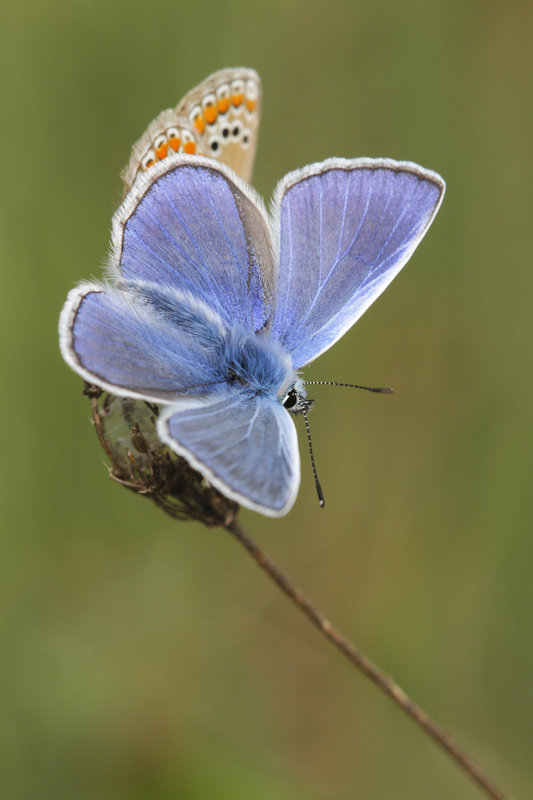 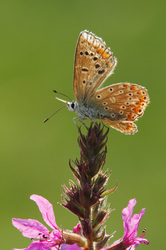 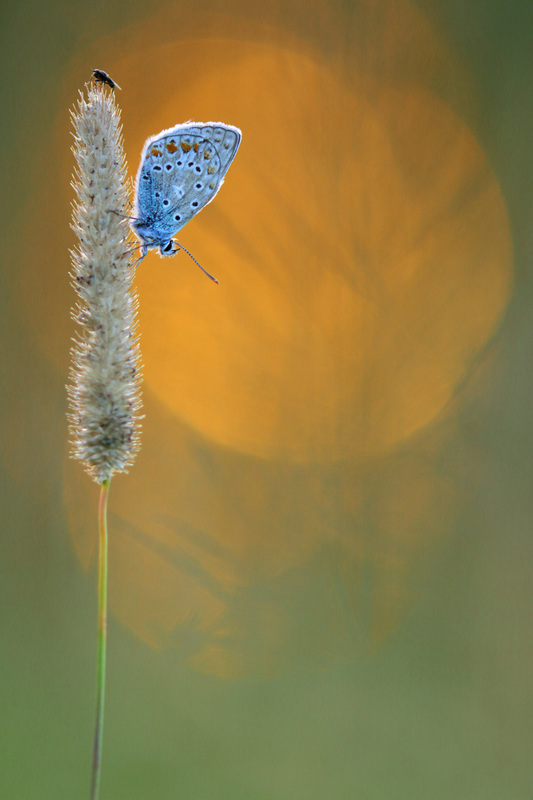 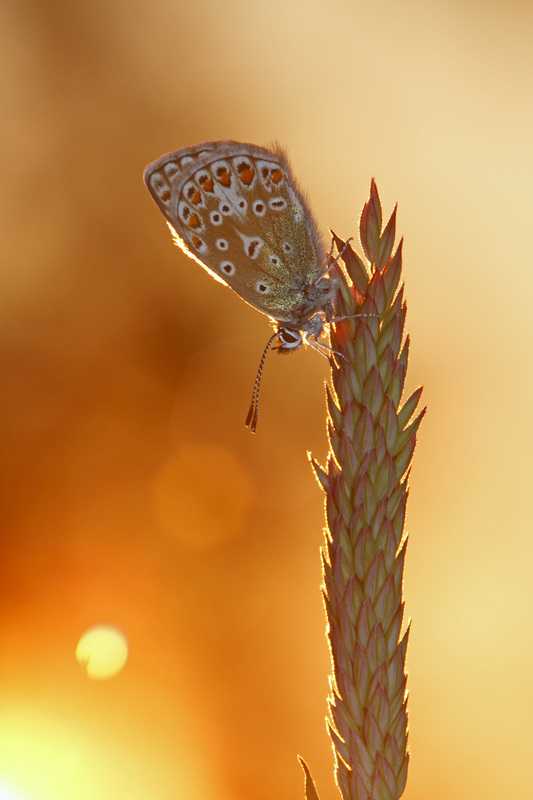 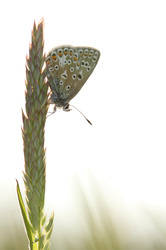 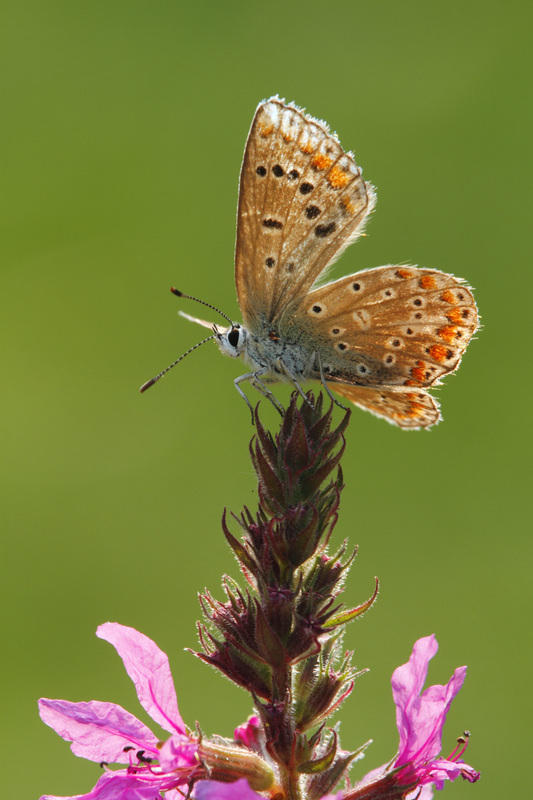 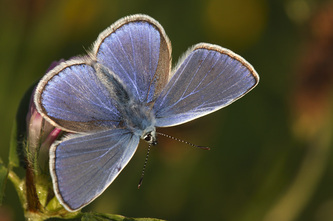 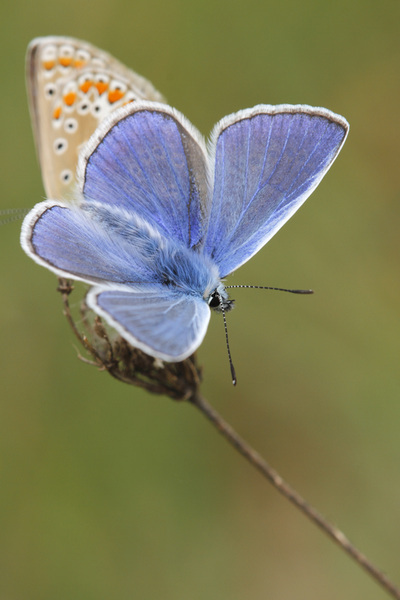 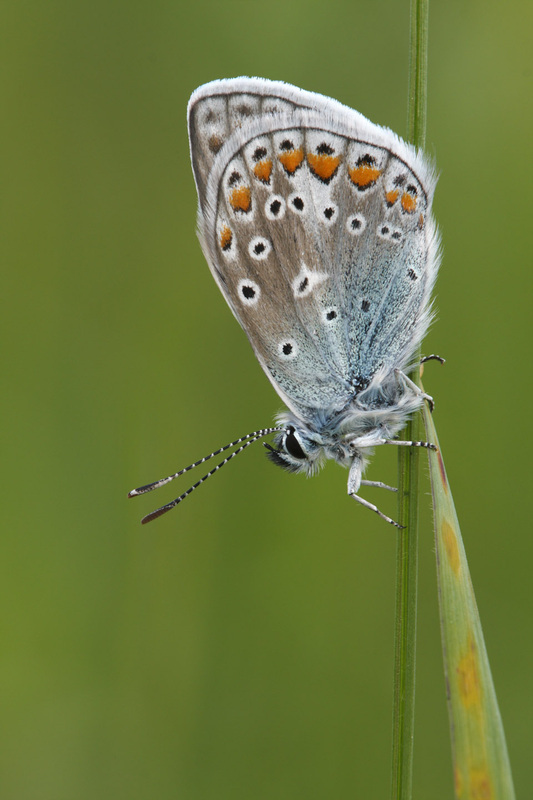 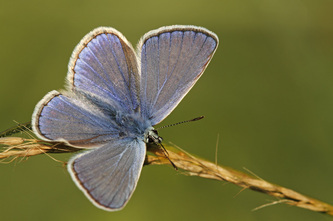 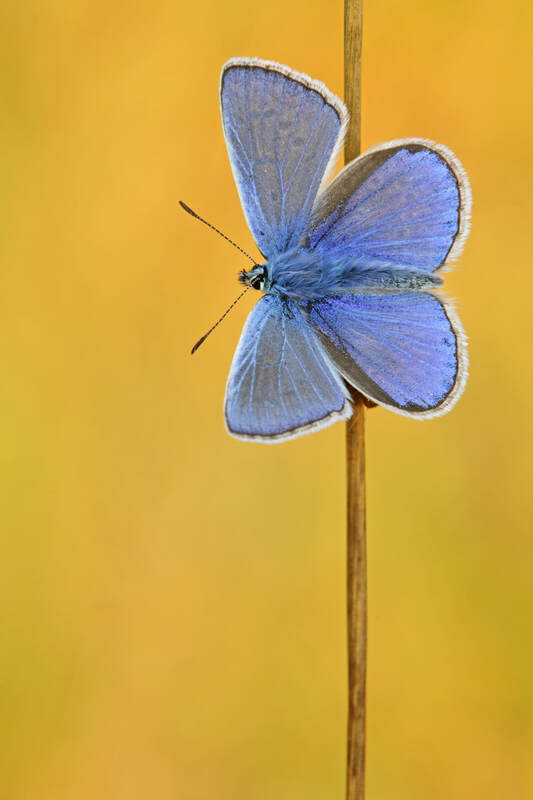 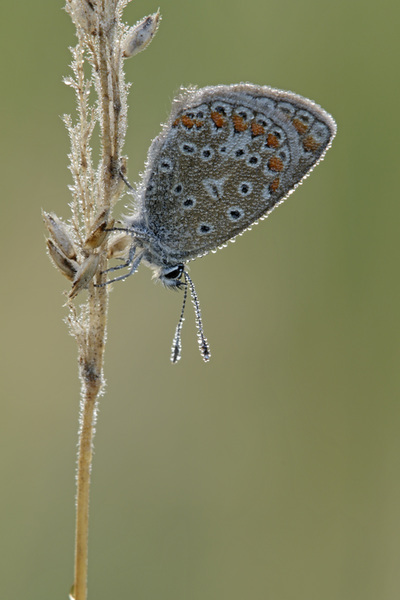 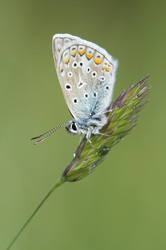 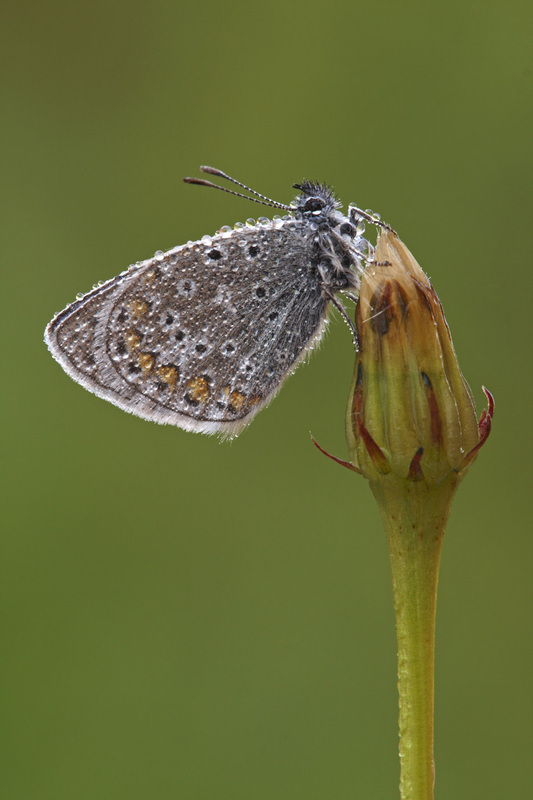 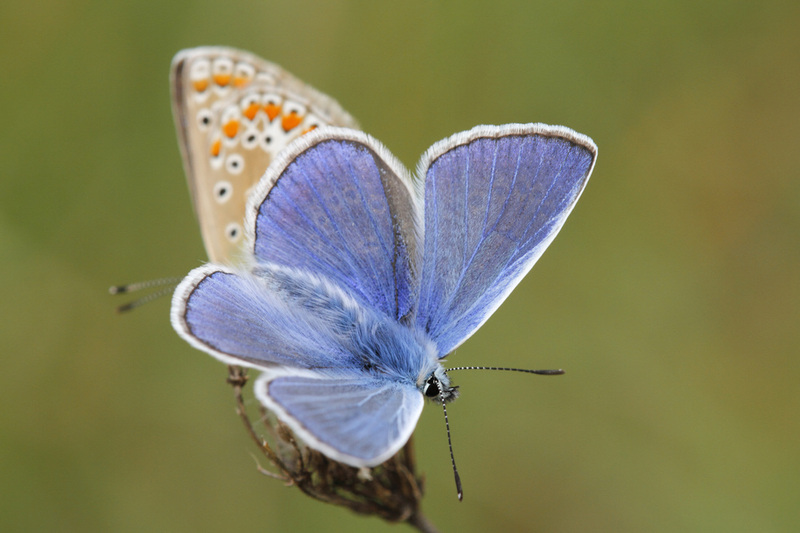 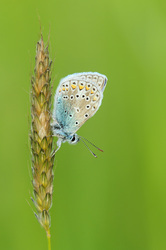 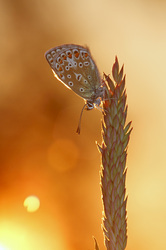 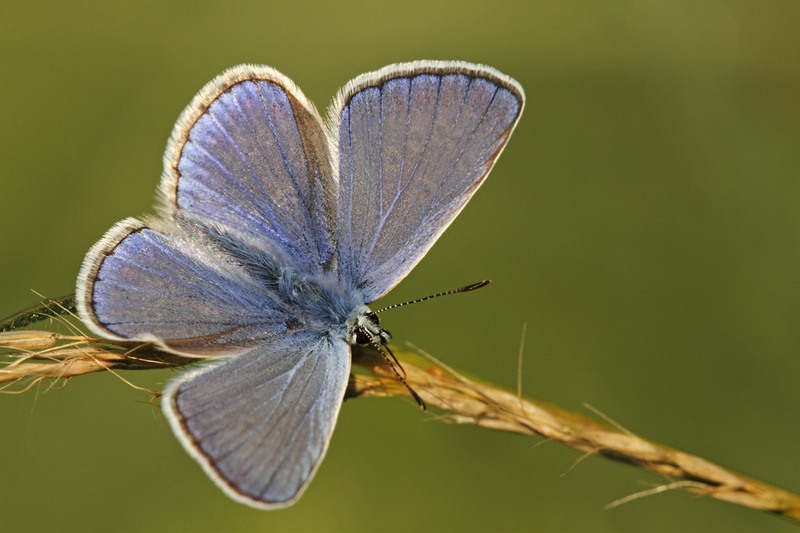 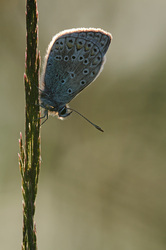 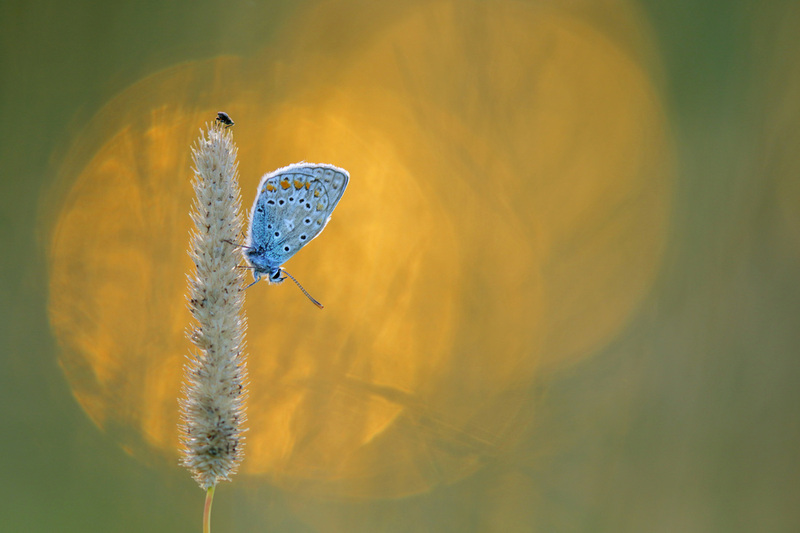 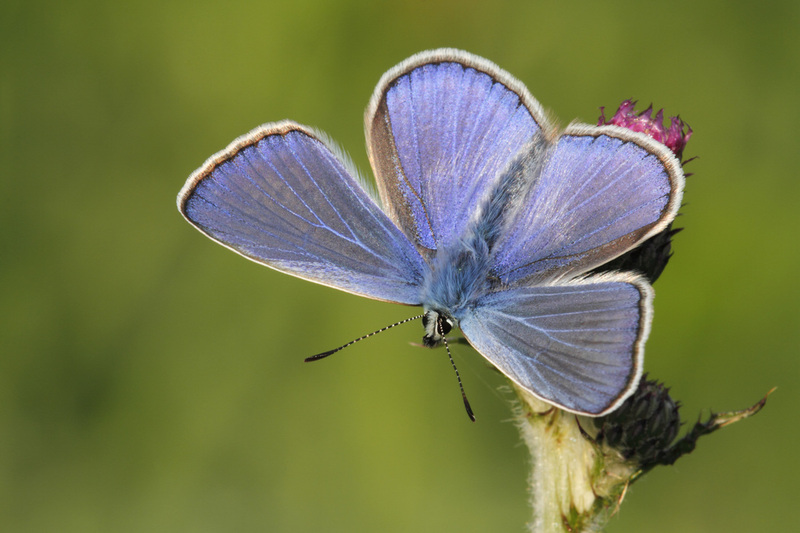 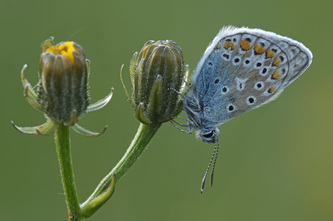 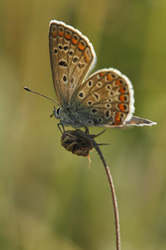 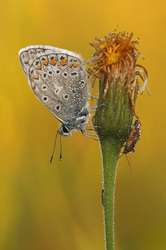 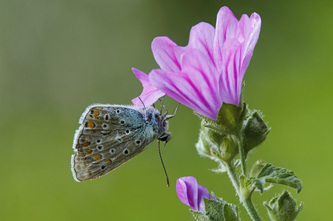 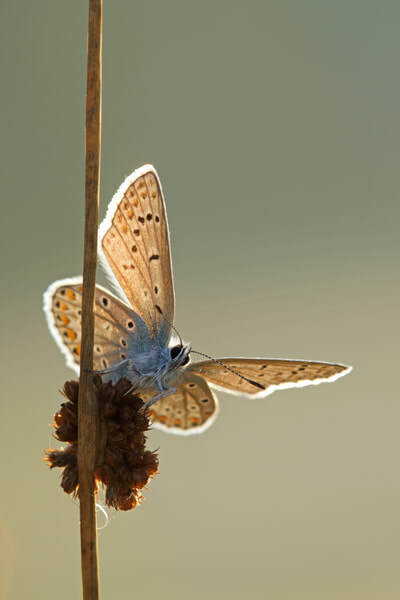 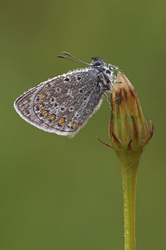 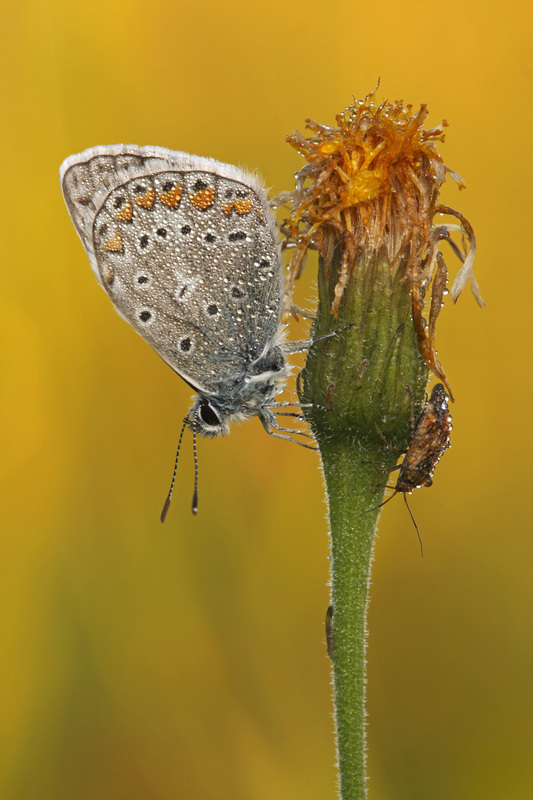 The male upperside is bright blue with a strong-violet tinge. 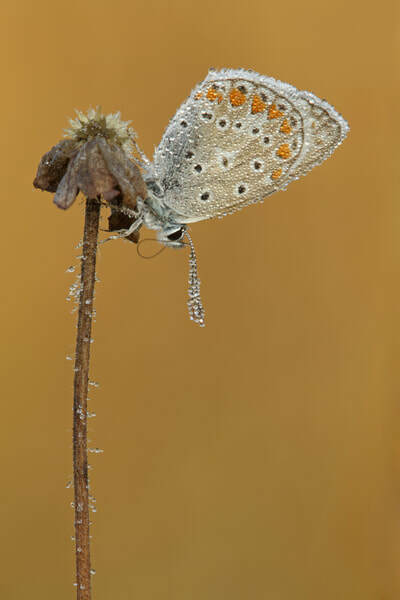 The fringes are plain white. 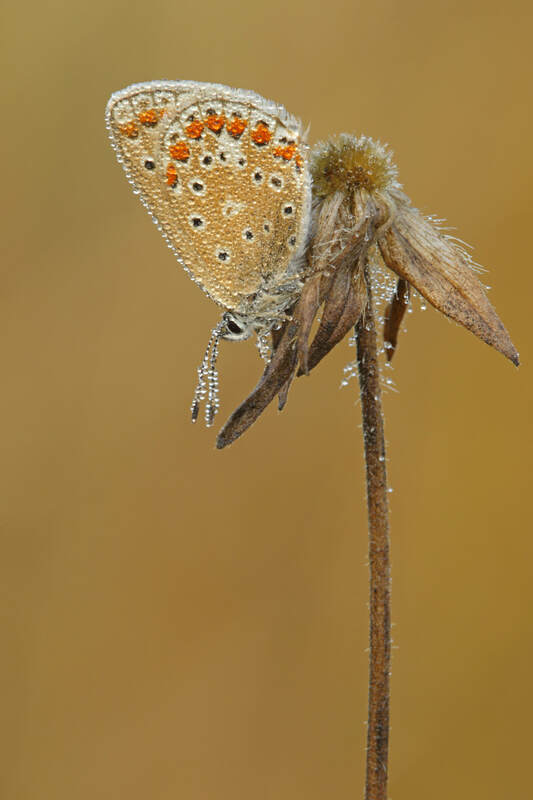 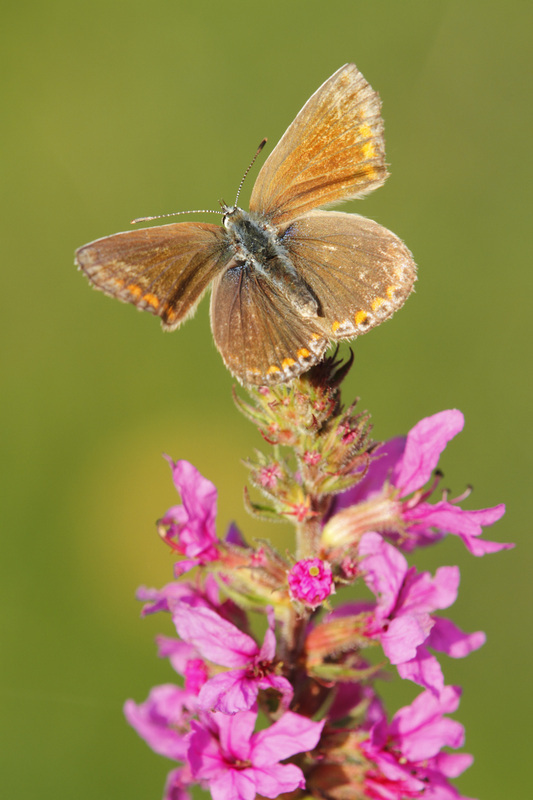 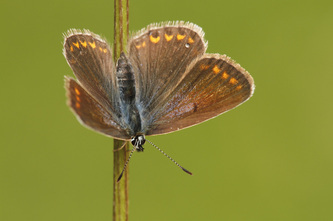 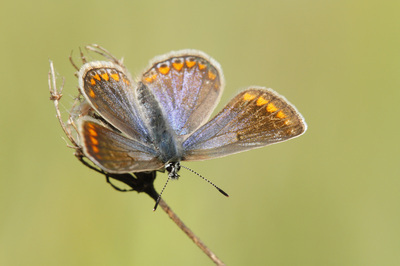 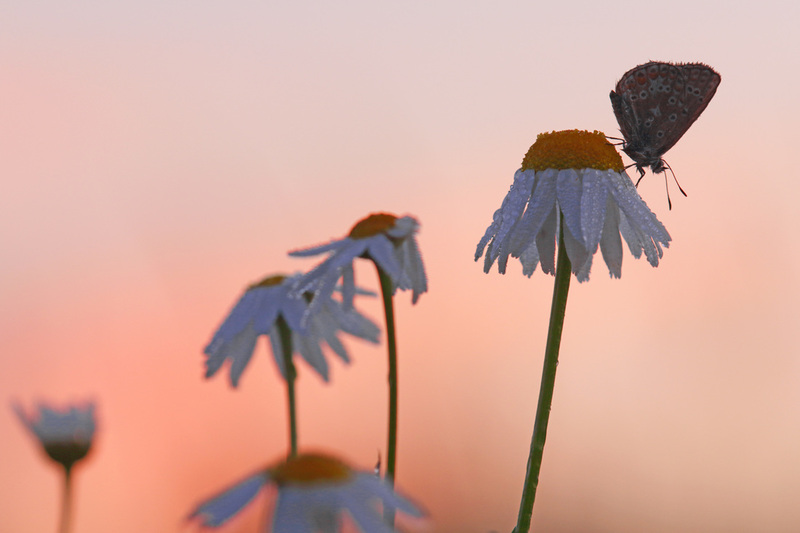 The female upperside is basically brown with a variable dusting of violet or blue. Orange submarginal lunules are usually present on both wings and the the hindwing also has marginal black spots between the veins. 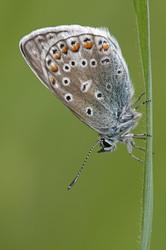 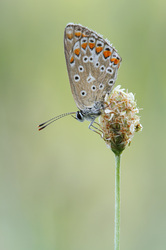 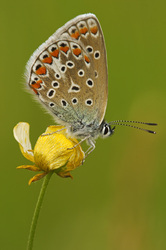 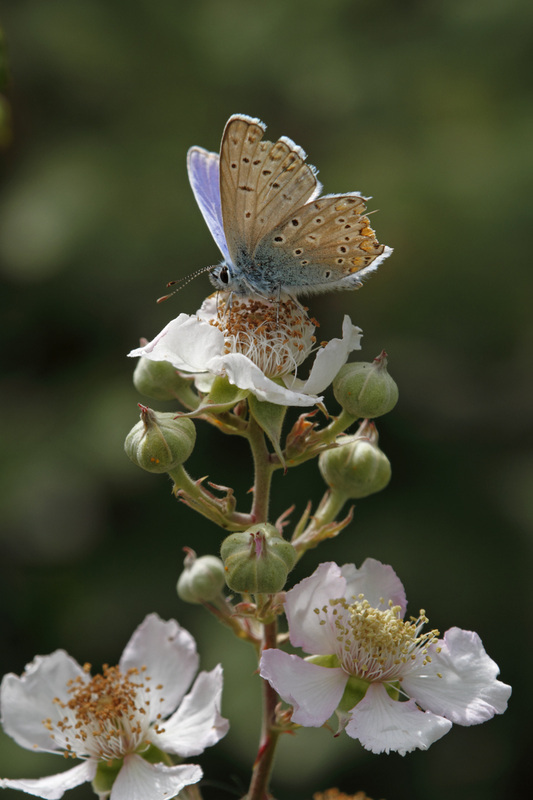 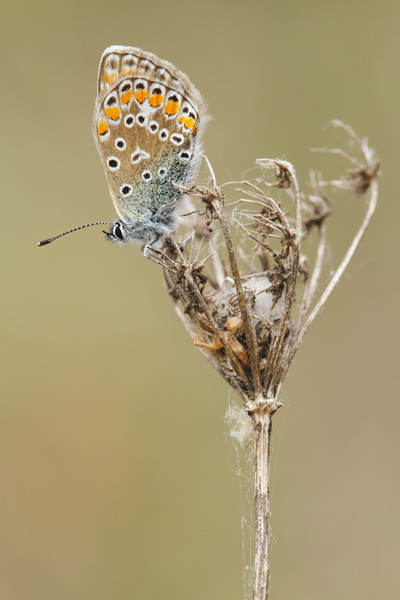 The male underside is brownish grey with blue or turquoise dusting at the base and well developed white-ringed black spots including one in the middle of the cell of the forewing. The ground colour of the female underside is mid-brown. 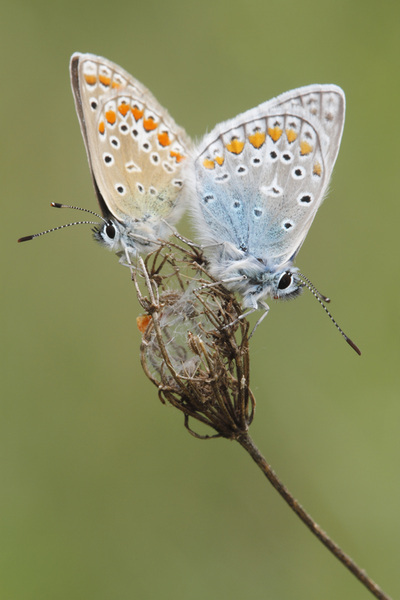 Flight from April to October in more broods. 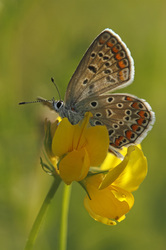 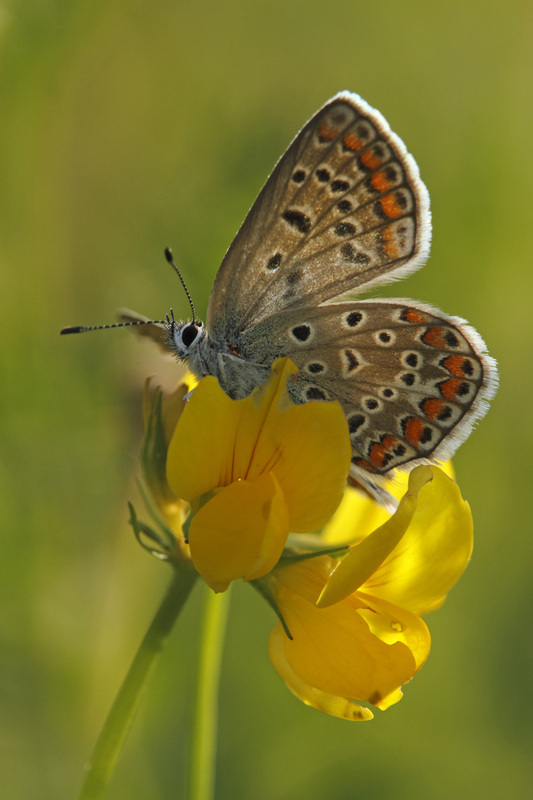 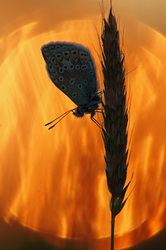 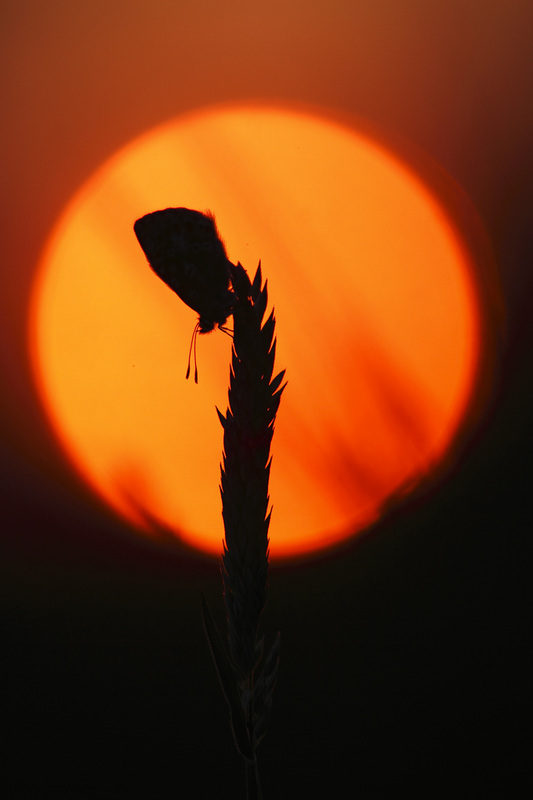 The larval foodplants include Bird's-foot Trefoil, Restharrouw and a wide range of other low-growing leguminous plants.